City planners have again called for a comprehensive review of parking around the Queen Elizabeth Hospital and University of Birmingham to end the misery for put upon residents. The call came as the city council&apos;s planning committee approved the construction of a new block at Birmingham Women&apos;s Hospital, in Edgbaston, which will increase the maternity unit&apos;s capacity from 7,800 births a year to 9,200 as well as create work for 97 new staff. But planning committee members were angry the only extra parking provided will be eight disabled spaces, adding more pressure on the already over-stretched local roads. 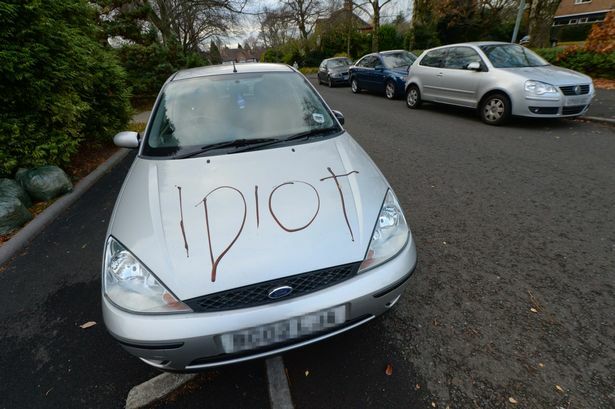 There have been tensions and vandalism of badly parked cars in the past. The committee has overseen a string of major developments in the area, spurred by the QE Hospital and university expansion and, at each turn, have called for a comprehensive review of parking and transport but so far nothing has been done. Further developments, including the opening of the new dental hospital and proposed relocation of the children&apos;s hospital, are in the pipeline and expected to create further problems. Coun Barry Henley (Lab Brandwood) said he had repeatedly called for the parking review and was frustrated that, despite further expansion, nothing had been done. He said: "The impact on neighbouring residential streets is getting worse. The higher number of births, 7,800 up to 9,000 a year, means more staff and more patients going there." Planning officers referred to an upper limit of 4,000 spaces placed on parking at the QE when it was built, saying this prevented provision of extra spaces. But Coun Henley hit back, saying there had been so much extra building since then making the original limit irrelevant. He was backed by Coun Fiona Williams (Lab Hodge Hill) who said: "If you are heavily pregnant, you could have a long way to walk from the car park." The councillors approved the demolition of the Norton Court block and its replacement with the new six-storey facility. It is the first part of a major £63 million redevelopment of the hospital, which was built in 1968, over the next four years.